tldr& Midrange Elvaan with a ton of potential, Almace ready to bring up @ 85, dring, Aegis/Ochain combo. All jobs 90+ heavily merited, over 50 pieces of reforged armor made ($$$). Just needs to hop in and finish the last 2 chapters of RoV and then get Escha gear. So all this account needs to do is current fun content. 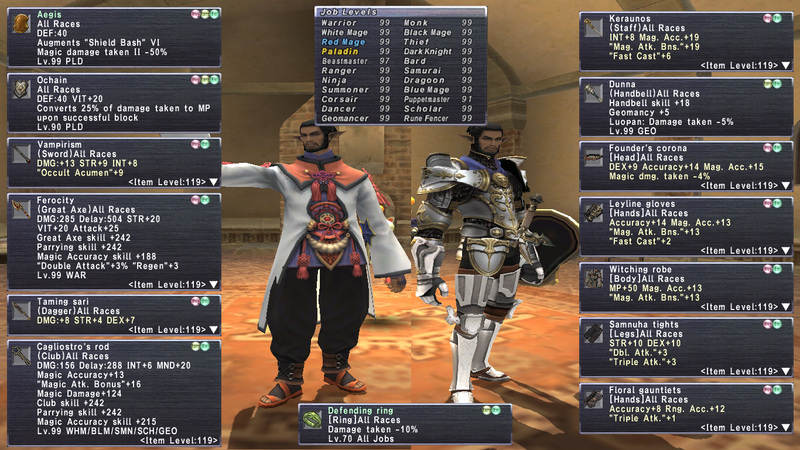 Nicely geared BLU and GEO, this account has a spot in every party with its wide job selection.